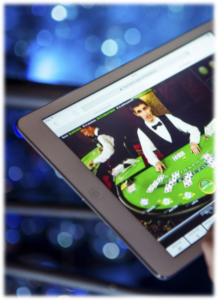 Mobile live casinos adapt to ever evolving demand of players. The online gambling industry has changed so very much over the last two decades. Then again, most industries do, especially those operating in the field of technology. Today, we’ll take a close-up look at how online casinos are continually adapting to the discriminating tastes and ever-evolving demands of players. In the earliest stages of online casino gambling, there wasn’t much to offer. A few table games and a handful of slot machines at less than half a dozen websites. That was about it. Consequently, there weren’t too many players taking advantage. But for those who did partake in, they unanimously agreed – we want more! So, they gave them more. More online casinos opened. More software companies came along to supply those casinos with a rapidly increasing selection of games. As time went by, technology was able to give them better security and platform stability. And that, in turn, drew more players to the virtual arena. However, the market began to stagnate as players decided it still wanted more. But this time, it wasn’t more games. Their desire was the realistic experience of bricks-and-mortar casinos. Between 2003 and 2006, the live casino market was unfolding. Players now had access to the most realistic experience possible. Real dealers, real tables, real cards, playing amongst other real players. This particular demand took more than a decade to truly develop; partly because companies jumped the gun. Microgaming introduced the first mobile casino games way back in 2003, long before touch-screens came along. Surely you remember the old flip-phones—that’s what these games were played on. There were very few games, the screens were tiny, and it just wasn’t much fun. Fast-forward to 2007, when Apple launched the first iPhone. Soon after came Android smartphones. A few more years past before enough people were using these devices, and that’s when the mobile gambling revolution was born. From 2010-2014, growth was slow. It was the same problem as before—not enough mobile casinos, not enough games, and nowhere near enough optimization for mobile users. The transition to HTML5 fixed that, providing a single web development mark-up language that was compatible with virtually every desktop, laptop, mobile and tablet browser in existence. The next step was obvious to anyone paying attention; the combination of realistic gaming with the ultimate convenience of playing anywhere, anytime, via smartphones and tablet devices. Players were introduced to mobile-compatible live casino games, and their popularity continues to soar with each passing year. Just when you thought there was nothing left to revolutionize the online casino industry, think again. Virtual reality has been around for a few years now, but its true potential has yet to be uncorked. The online gambling sector has been dabbling in VR for a few years, but nothing has really solidified yet. That’s because they all want to get it right the first time. Companies are working hard to put together a VR gaming product that meets the discriminating tastes of their players. One that gives them the absolute most realistic, desktop or mobile live casino experience never imagined. When it finally arrives, no doubt the most innovative companies will already have the next big thing stewing on the back burner.